This is F1Minute - Patrick Head to step back from F1 in 2012. 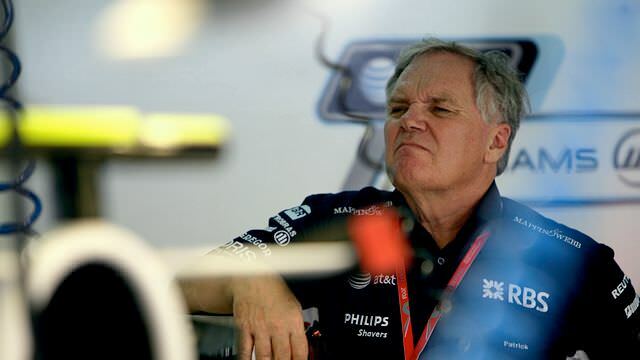 Patrick Head has been part of the makeup of Williams’ F1 team since the late 70s, but from the end of this year, he will take a step away from the racing campaign. Autosport reports that the decision comes after the restructure of the team - with Sam Michael departing for McLaren, and Mike Coughlan coming in as technical director. Meanwhile, Rubens Barrichello is also facing a different future in 2012 with no race seat confirmed as yet. He has said he believes he will race next season, whether it is at Williams or elsewhere - he even has a new helmet design for the new year, drawn by his son!